Samsung is reportedly working on a new Android-powered smartphone called the Galaxy Premier. A report in technology blog MobileGeeks says that the upcoming phone, code named Samsung GT-i9260, will not be the speculated Nexus 4, but an altogether new device. In Galaxy Premier, the South Korean smartphone manufacturer seems to have stuck to the pebble-esque design which it introduced in its flagship Galaxy S III and then followed in Galaxy Note II and the recently-unveiled Galaxy S III Mini. 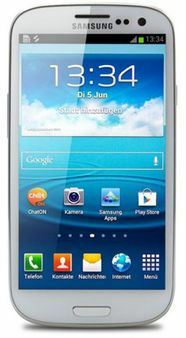 The upcoming Galaxy Premier will boast of a 4.65-inch touchscreen with 1280x720 resolution, 1.5GHz dual-core ARM Cortex A-9 processor and will run on Android 4.1 (Jelly Bean) skinned with TouchWiz UI. On the imaging front, the post on MobileGeeks says that the new smartphone will have an 8MP primary camera with LED flash, while the rear camera will have 2MP resolution. According to MobileGeeks, the yet-to-be-announced Samsung Galaxy Premier will come in 8GB and 16GB variants and will support microSD card of up to 64GB capacity. In terms of connectivity, the device is expected to have Wi-Fi, DLNA, NFC, Bluetooth 4.0, 3G, 2G and microUSB. The size of the upcoming device will be 68.1x133.97x8.8 mm, as per the post. The post on MobileGeeks said that the upcoming Samsung Galaxy Premier will cost 480 euros. However, considering that the unlocked version of the Galaxy S III, which has better specs, in Europe is priced at around 450 euros, this price seems unlikely. Samsung may choose to place this phone between the Galaxy S II and Galaxy S III, since it has no smartphone in that price bracket, expect for Galaxy Note, which is too big for most people.